We’ve seen the supercomputer cluster work of [Nick Smith] from the UK before, but his latest build is quite lovely. This time around, he put together a 96-core supercomputer using the NanoPi Fire3, a Raspberry Pi alternative that has double the number of cores. His post takes you through how he built the supercomputer cluster, from designing the laser-cut acrylic case to routing the power cables. If you just came down in the last shower, you’re probably used to living in a world where LEDs are cheap, awesome, and practically everywhere. Spare a thought for those of us who lived before the invention of high brightness LEDs – these things still amaze us! A great example of how far we’ve come is this “analog” watch build by [Kevin], featuring no less than 73 of the critters. The microcontroller running the watch is an STM32, chosen for its easy programmability. It’s running the LEDs in an emulation of the dial of an analog clock, hence the high part count. Naturally, it’s no simple task to cram 73 LEDs and all the necessary connections into the confines of a watch-sized PCB. 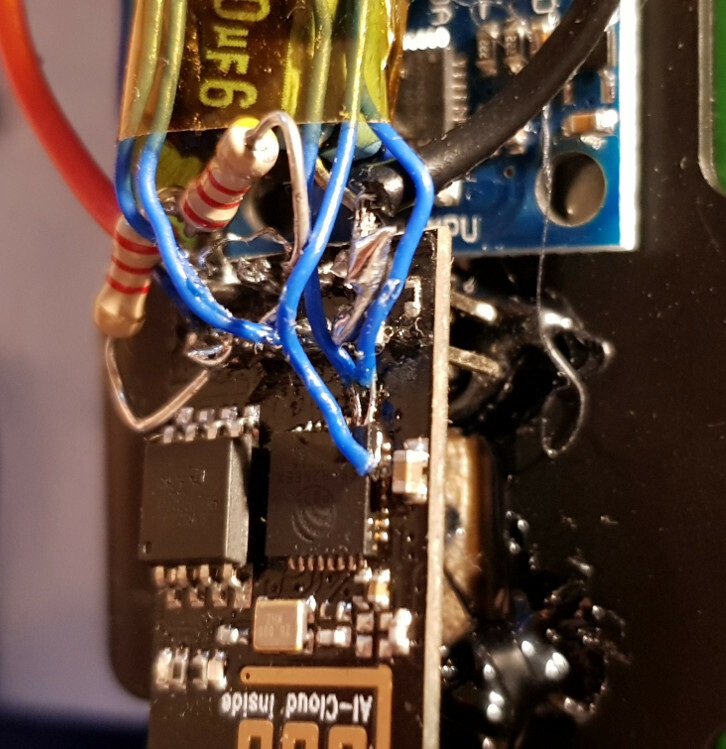 [Kevin] goes into great detail about the challenges involved, from routing the traces to a tricky power draw problem caused by some odd blue LEDs. Watch builds are always fun, and they make great conversation pieces for when you want to amaze strangers with your tales of battles fought in the PCB design suite. Now check out this similar build with an entirely different style. While quadcopters seem to attract all the attention of the moment, spare some love for the rotary-wing aircraft that started it all: the helicopter. Quads may abstract away most of the aerodynamic problems faced by other rotorcraft systems through using software, but the helicopter has to solve those problems mechanically. And they are non-trivial problems, since the pitch of the rotors blades has to be controlled while the whole rotor disk is tilted relative to its axis. The device that makes this possible is the swashplate, and its engineering is not for the faint of heart. And yet [MonkeyMonkeey] chose not only to build a swashplate from scratch for a high school project, but since the parts were to be cast from aluminum, he had to teach himself the art of metal casting from the ground up. That includes building at least three separate furnaces, one of which was an electric arc furnace based on an arc welder with carbon fiber rods for electrodes (spoiler alert: bad choice). The learning curves were plentiful and steep, including getting the right sand mix for mold making and metallurgy by trial and error. With some machining help from his school, [MonkeyMonkeey] finally came up with a good design, and we can’t wait to see what the rest of the ‘copter looks like. As he gets there, we’d say he might want to take a look at this series of videos explaining the physics of helicopter flight, but we suspect he’s well-informed on that topic already. We are smack-dab in the middle of our Energy Harvesting Challenge, and [wasimashu] might have this one in the palm of his hand. Imagine a compact flashlight that doesn’t need batteries or bulbs. You’d buy a 10-pack and stash them everywhere, right? If there’s nothing that will leak or break or expire in your lifetime, why not have a bunch of them around? Infinity uses nothing but body heat to power a single white LED. It only needs a five-degree temperature difference between the air and your hand to work, so it should be good in pretty much any environment. While it certainly won’t be the brightest light in your collection, it’s a whole lot better than darkness. Someday, it might be the only light around that works. As you might expect, there’s a Peltier unit involved. Two of them, actually. Both are embedded flush on opposite sides of the hollow aluminum flashlight body, which acts as a heat sink and allows air to pass through. After trying to boost the output voltage with a homemade feedback oscillator and hand-wound transformers, [wasimashu] settled on a unipolar boost converter to reach the 5V needed to power the LED. [wasimashu] has made it his personal mission to help humanity through science. We’d say that Infinity puts him well on the way, and can’t wait to see what he does next.